This weblog might confuse readers. Let me increase the confusion by wondering why Christ came down to Earth. With a low tolerance for confusion, readers might decide that this weblog is all nonsense, instead of making the wiser decision that it actually makes sense. There might be heated discussions over dinner tables in the capitals of Europe what to think of this weblog and its advice to boycott Holland. From confusion to sense, that is the question. In earlier religions we find gods walking the Earth, like Zeus taking the form of a bull and kidnapping & making love to the damsel Europa (wikipedia). Personally I find the interpretation more sensible that it concerned a cow and then likely the goddess Hathor, while ‘erep’ would be an ancient word for “sunset, the West” (hence the beginning of the night and the realm of the moon). The point however is that Zeus’s activities on Earth are of circumstantial relevance while the focus is on the affairs in heaven. This is entirely different from the New Testament that focusses on God / Christ on Earth. There ought to be a good reason why the Bible is so different from other religions. The following is a tentative answer. To achieve the first correlation Zitman presents Scorpio rising on the East but in mirror image. However, when Scorpio is presented as setting in the West, then an observer standing in the Nile delta and looking South could project with greater ease (I presume). Overall, Zitman’s suggestion makes more sense than random locations of the pyramids. My book The simple mathematics of Jesus follows others in the suggestion that the Bible found a major inspiration in Egyptian religion. The Old Testament already has Moses as a Son of God leading his people to the promised land, and making the sacrifice of not entering himself. Compare Ramses = Ra Mss, with Ra = the Sun god, and Mss = Son of. Thus Moses = Mss = Son of (the unspoken). The New Testament has the Son of God again walking the Earth and making a more dramatic sacrifice (though only the suffering for he resurrects). Hence the new idea: the earlier suggestion that the Bible found major inspiration in Egyptian religion clearly explains why Christ came down to Earth: the Bible adopts the perspective of Egyptian religion in this too. The German magazine Bild reported yesterday that the Mallawi Museum is destroyed and robbed, supposedly by members of the Moslem Brotherhood. (Dutch readers: de Volkskrant.) Zahi Hawass is quoted: “I have tears on my eyes and my heart is bleeding because we are loosing the best we have…..our heritage.” There would be bitter irony too. Moslems regard Jesus as the prophet Isa (i.e. not as the Son of God). When Jesus derives from ancient Egyptian religion, the Egyptian Moslems who destroy the Egyptian heritage also destroy the fountain of their own religion. One wonders whether Egypt will copy Syria and whether the pyramids are strong enough to survive this kind of Egypt. PM. A note on consistency. Aymen Ibrahem has an important novel explanation of the ancient Egyptian view on solar eclipses. The hieroglyph called Akhet gives a sun between mountain Bakhu of sunrise and mountain Manu of sunset. In his analysis this actually indicates an eclipse rather than the daily event. The Great Pyramid appears to be called the “Eclipse of Khufu”, and so on. 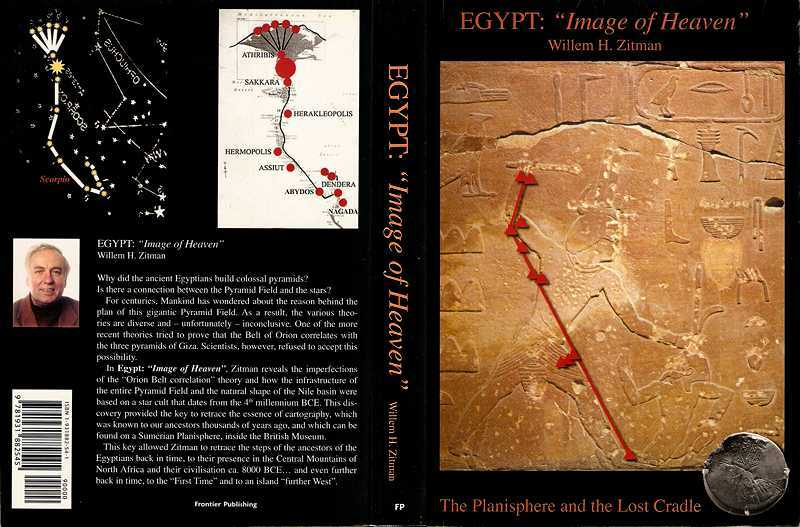 This explanation might seem to conflict with the explanation by Willem Zitman of a geographical projection, since the stars would not necessarily coincide with (solar) eclipses. However, my hypothesis is that the ancient Egyptians saw the sun, moon, planets and stars somewhat as the eyes of gods. The act of seeing requires the emission of rays of light. See here for the Eye of Horus. Thus each godly eye would have its own mountains in the firmament where it might eclipse. I tend to consider these two explanations as fairly consistent. Though, granted, ancient Egyptian religion and cosmology remain a soup.